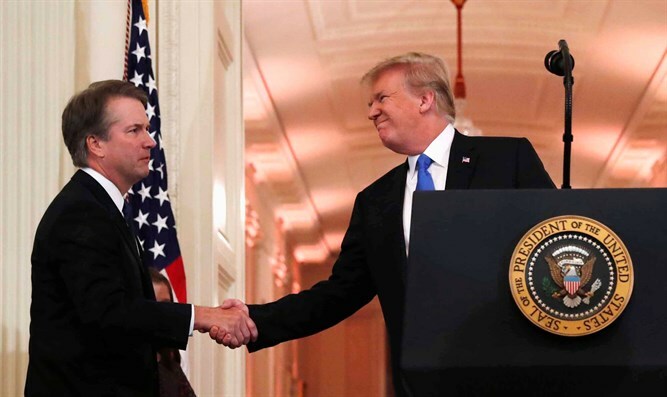 Coalition for Jewish Values welcomes confirmation of Brett Kavanaugh to US Supreme Court. The Coalition for Jewish Values, representing over 1000 traditional rabbis in public policy, today congratulated Brett Kavanaugh upon his confirmation and swearing in to serve as an Associate Justice on the Supreme Court of the United States. Justice Kavanaugh endured an extraordinary, difficult and painful journey to his confirmation. "We salute Justice Brett Kavanaugh for standing firmly for the 'crown of his good name,' for his honor and that of his family," said Rabbi Dov Fischer, West Coast Regional Vice President of the CJV. "Judge Kavanaugh's opponents attempted to deny him basic civil standards such as the presumption of innocence and the right to due process." The CJV rejected the idea that Justice Kavanaugh's confirmation is a step backwards for the rights of women. "It is truly painful," said Rabbi Steven Pruzansky, East Coast Regional Vice President of the CJV, "that many have set up a false equivalence between believing Judge Kavanaugh's denials and 'silencing' victims of assault. Nothing could be further from the truth. "The Torah requires that even one entirely credible witness, with no gaps in recollection (as found in this case), must not be believed against another person without corroboration. And the Sages of the Talmud warned us that to publicly shame someone is akin to murder. Thus it was a disgrace that Judge Kavanaugh was forced to defend his reputation against an uncorroborated accusation in a national forum -- especially considering that his accuser was offered the opportunity to testify in private, but apparently was never so informed by her attorneys. The idea that he should be disqualified on the basis of this single accusation, much less due to his 'disposition' when publicly accused of grotesque wrongdoing, is anathema to Jewish ethics and values." Rabbi Yaakov Menken, Managing Director of the CJV, was invited by the White House and plans to attend this evening's swearing-in ceremony on behalf of the organization. "We stand by our original endorsement of a highly-qualified judge who holds dear the rights of all Americans and cherishes religious freedom," he said. "He will defend the Constitution and American values, and will be a valuable and prolific member of the Court."